We were again admiring the facade of the Aile de Flore wing of the Musee du Louvre, which is the popular tourist attraction located in the 1st Arrondissement of Paris, and we took these high definition photos of the Goddess of Agriculture statue called Ceres that was sculpted by Emile Francois Chatrousse. 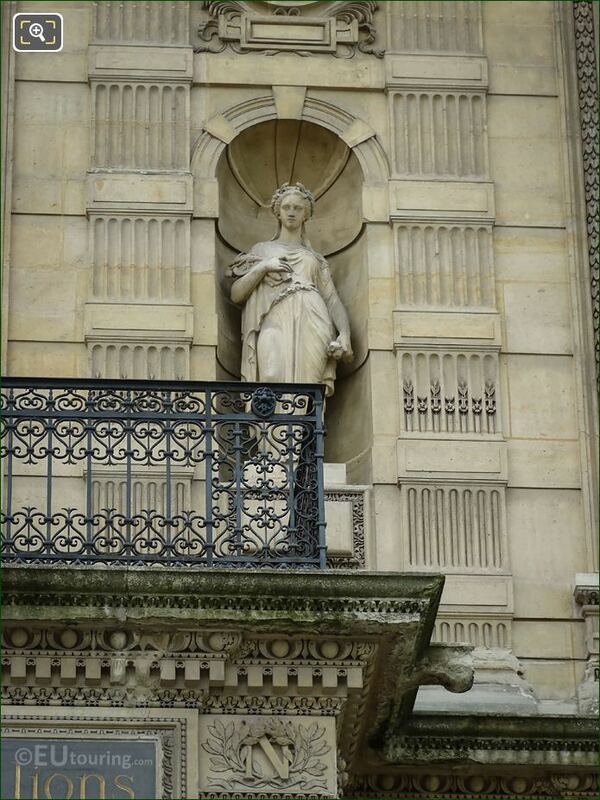 So this first HD photo shows the Ceres statue located to the right hand side of a balcony, which is above an entrance to the Musee du Louvre where you can see the Lion statues, and positioned on the second level of the Aile de Flore facade, this was put in place within the niche in 1865. And this statue was produced by Emile Francois Chatrousse who was born in Paris on 6th March 1829, and studying to become a French sculptor, he was actually the last pupil of Francois Rude. Yet it was not until he present a plaster statue group of Quenn Hortense and her son at the 1853 Paris Salon, that he got truly noticed, and Napoleon III ordered a cast of this in bronze, and from then on Emile Francois Chatrousse received numerous public commissions for places such as the former Tuileries Palace, The Louvre and the Hotel de Ville, etc. 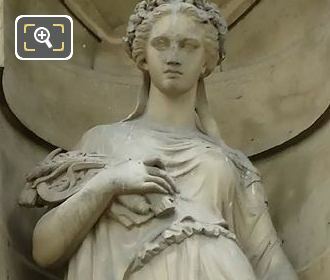 Now this next photo shows a closer view of the statue depicting Ceres, who, in ancient Roman religion, was actually the Goddess of Agriculture for grain crops, and her counterpart in Greek mythology was the Greek Goddess Demeter. However, an unusual fact we came across, was that the word cereals derives from Ceres, which recognises her association with edible grains, plus a planet discovered in 1801 was also named after the Roman Goddess. 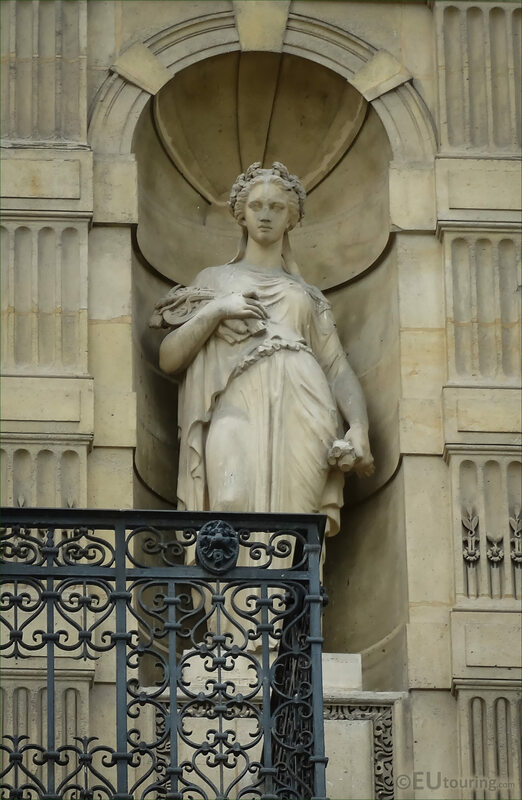 And she has been depicted numerous times over the centuries in engravings, carvings, paintings, sculptures and statues, just like this one on The Louvre Museum.